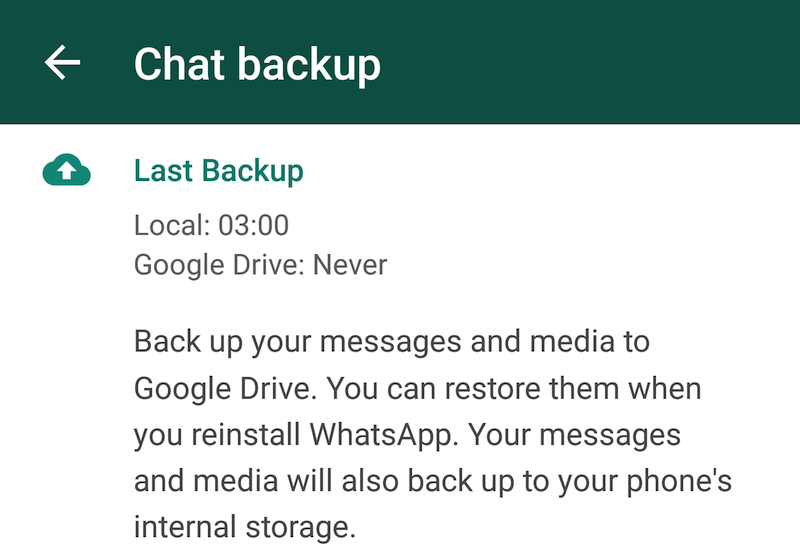 The saga of WhatsApp's Google Drive backup option is only rivaled by the app's epic voice calls invite feature that we all had to endure for months. It's there, then not there, then it's back, only to disappear again, then wait it's hiding and only shows when it's time for a backup... but Rita, it's not working for me, and now it's gone for everyone, oh-oh look I got it with root and a few commands, and now it's on for everyone finally. We swear.